Sport fishing spreads economic opportunities around the world.. Fishing is worth big bucks. A recent study conducted by The Billfish Foundation shows that in 2011 traveling anglers spent nearly $100 million in Panama alone. This fuels the local economy and provides job opportunities. Mates such as Kennedy Hernandez, pictured here, make more money than their parents thanks to their hard work on charter boats. For many years, Kennedy has worked alongside Capt. Brad Philipps on the Decisive in Guatemala. In this time Kennedy has learned English and bettered his family's life in many ways through his hard work. 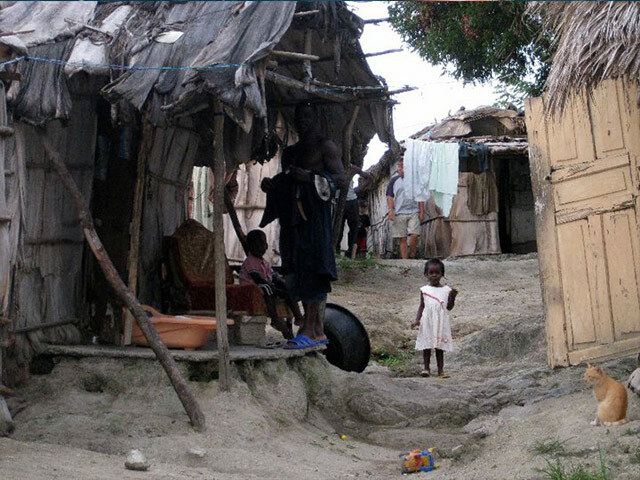 This photo was taken during a humanitarian trip to the Dominican Republic with Reel Life International. The group brought down water filters and medical supplies. They also built a home for a single mother of eight, and constructed showers in a small shantytown where people previously bathed in the same water they drank. 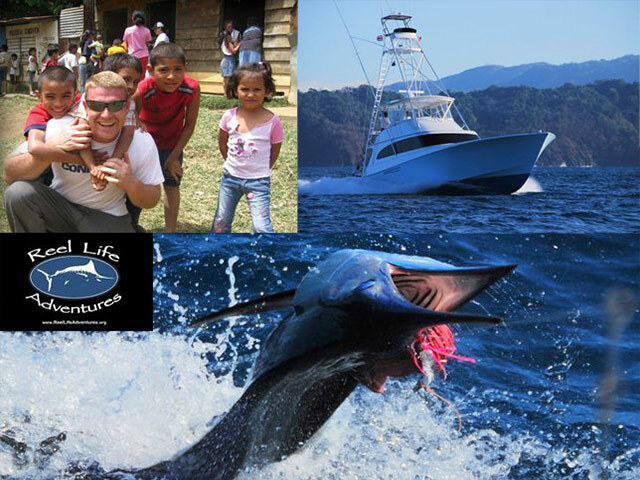 Reel Life International, formerly known as Reel Life Adventures, does charitable work in fishing hot spots around the globe. Money spent on fishing is money well spent. It's impossible to put a price on the thrill of the catch, or the experience of traveling to a foreign country in pursuit of new fishing opportunities. The adventure and the memories are priceless. But in reality, the money spent to fish in these countries saves lives. The first time I traveled to Costa Rica I was in my mid-20s. I was working for a magazine at the time and they sent me down to cover a tournament at a large resort and marina. I fished on the same boat for three days and got to be pretty friendly with one of the wash down boys. It amazed me how eager this young man was to work on a boat. He'd do anything for the captain and crew, and it wasn't just for the money. The wash down boys are not paid a lot, but the doors begin to open. Each morning, he'd be there, schlepping 40-pound bags of ice down the dock. And when we pulled in after a long day of fishing, he'd be waiting on the dock with his hand out to grab the bow line and tie up the boat. He washed that 60-foot Hatteras from the tower down, all with a smile. I found out later that he was 13. In places such as Mexico, Central America, the Caribbean and I'm sure Africa and other impoverished countries where fishing is growing in popularity, the sport fishing boats provide opportunity. The young men who start out as wash down boys and show the kind of commitment and work ethic as mentioned above, will over time become a second mate, then a first mate. Odds are they'll learn English, and maybe one day work their way onto the bridge. They will also befriend folks from around the country. These people will open doors and likely help them with their education or health issues. Kennedy Hernandez, the longtime mate for Capt. Brad Philipps once told me that he was making more money working as a young deckhand in Guatemala than his father ever made. That's why I say sport fishing saves lives. The young men who start out as wash down boys will over time become a second mate, then a first mate. Odds are they'll learn English, and maybe one day work their way onto the bridge. The Billfish Foundation recently released a study that says anglers visiting Panama in 2011 spent $97 million on charter boats, fuel, food, lodging and other related expenses. That money fuels a lot of jobs, and a lot of opportunity. 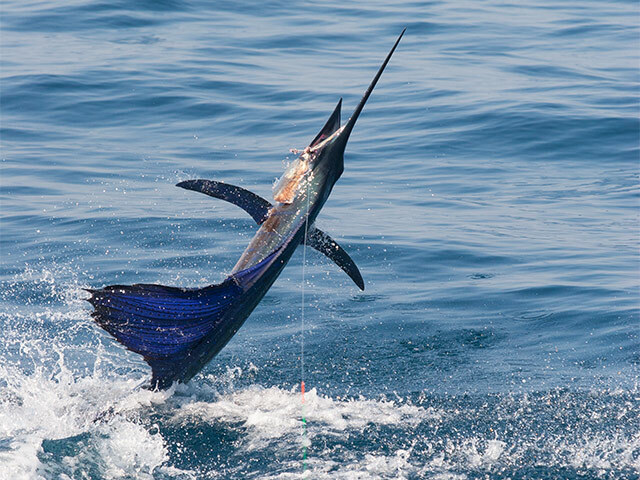 Similar studies have shown how valuable fishing is in Cabo San Lucas, Mexico, and Costa Rica. But it doesn't end there. If you've traveled to a third world country to go fishing, you've seen the poverty that exists. There is always a vast difference between the wealthy and the poor. Outside of the plush resorts we stay in exists the ugly truths of poverty... starving children, orphans and child prostitution. One organization of anglers is working to help out. I've been involved with Reel Life International since its inception. This nonprofit group raises money and hosts trips to help those in need around fishing destinations. They've done work in Cuba, Costa Rica, the Dominican Republic and Mexico. I went on a humanitarian trip with Reel Life to the Dominican Republic in 2010 and it really changed me. I don't think I've said, "I'm starving," since I saw those kids. I'll only ever say "I'm hungry." We spent a week working. We built a home for a single mom with eight kids. We also plumbed in some showers in a shantytown. These folks had never seen a shower. They had been bathing in the same river they used for drinking water, and going to the bathroom. After seven days of hard work, our team went fishing. 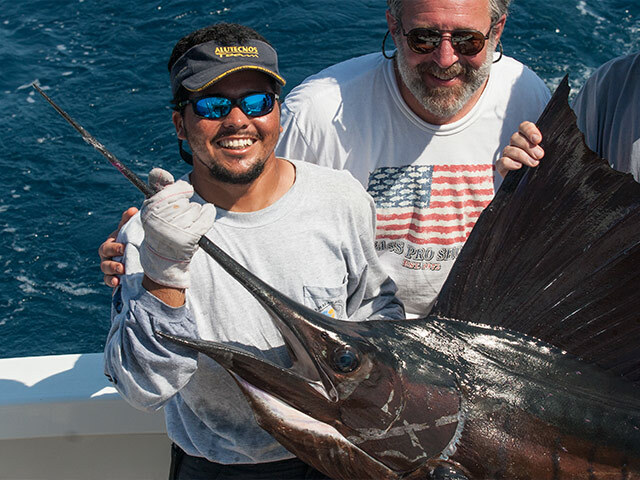 Two anglers caught their first marlin. It was a trip that I still think about. We had a 15-year-old with us working as an interpreter. He loved baseball and we hooked him up with a new glove that Reel Life had brought down. He had been using a homemade glove that he had created out of a cereal box folded in half. If it hadn't been for sport fishing, I would've never met Michael O'Neal, the founder of Reel Life who's now a close friend, and I would never had been on this trip to the D.R. In so many ways, sport fishing saves lives.